More often than not, necessity is the mother of invention. 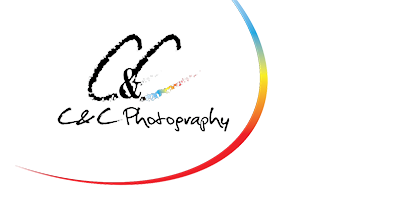 C&C Photography was founding in Perry Georgia in 1988 continuing a long tradition in family photography. Middle Georgia was lacking quality photography choices and was ready for a new vision and direction in the photography field. Hal Clower began his photography career in 1985 in Oklahoma and moved to Perry in the spring of 1988 where he continued his photography training under 2 of the Southeast leading photographers, Bill Meriwether and Glenn Clower. Hal has taken his classical training and combined it with today's modern, digital art form to offer the Perry, Warner Robins, and Macon area the best option in photography available today. So come on in Middle Georgia and let's make memories to last for generations. It is your turn to shine! It is never too early, and never too late to schedule your personal senior portrait session. Our families are in constant change. Make sure your change is documented by updating your family portrait regularly. With C&C our Family portraits are not snapshots, taken without a plan, but a piece of artwork that will be handed down for generations. This is accomplished by discussing your need, family values, hobbies, and relationships. Check out our Family Portraits. My weddings have changed since our family started photographing weddings. We saw huge changes in the way we photographed with film, and then when digital entered in early 2000, wedding photography made major changes. Not only has the medium changed but so has the ceremony and venues changed. With the industry in constant change, you want to trust someone that is flexible but also understands trends and the purpose of the photography. This takes us back to the great saying, "Just because we can, doesn't mean we should" Your wedding album should be something you cherish not something to be ashamed of or to laugh at with others. Check out our wedding services, and let's set up your free consultation to begin planning your wedding day photographs. It is your turn! Make a statement! Be you. You deserve to be treated to a unique experience, designed for you. Do not be forced into the same box. You are unique so should be your wedding. Let us help you express and document your day.